New for 2010. 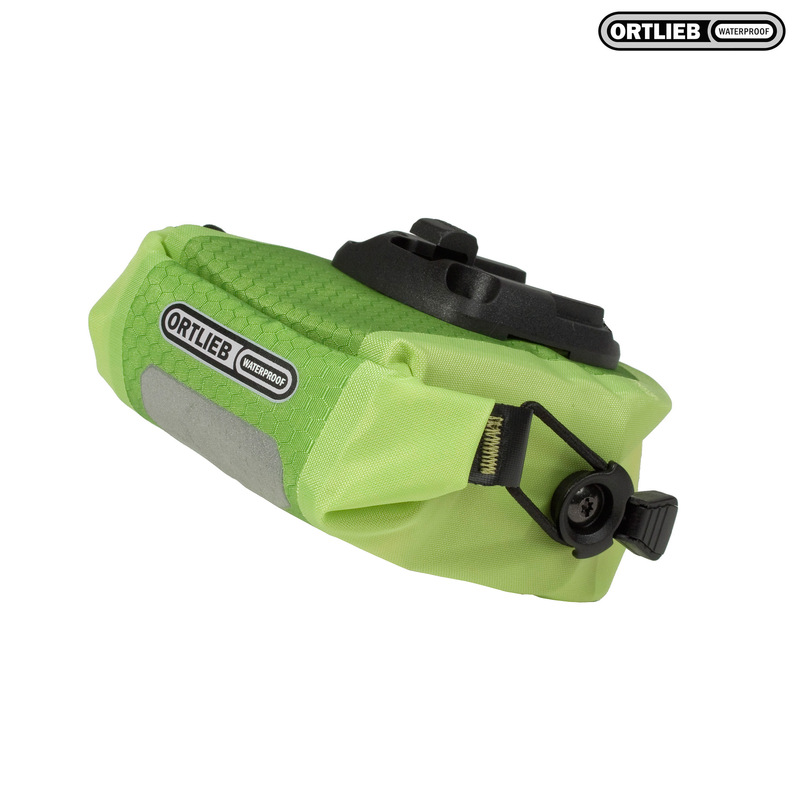 The Ortlieb Saddle Bag Micro is perfect if all you need are the bare essentials. The roll closure with elastic bungees make it 100% waterproof & only two screws make for a simple fix. An ultralight Saddle-Bag with minimal dimensions. With the click closure, it‘s a breeze to quickly add or remove from under the seat with just one hand. The perfect Saddle-Bag for cyclists looking for minimal weight.